Product categories of Hang Tag, we are specialized manufacturers from China, Hang Tag, Custom Hang Tags suppliers/factory, wholesale high-quality products of Custom Printed Hang Tags R & D and manufacturing, we have the perfect after-sales service and technical support. Look forward to your cooperation! Hang tags are always made of white card, Kraft paper, coated paper plastic etc. And hang tags are playing a very important role in attracting consumer attention and relaying important information about the product which the tags are attached. 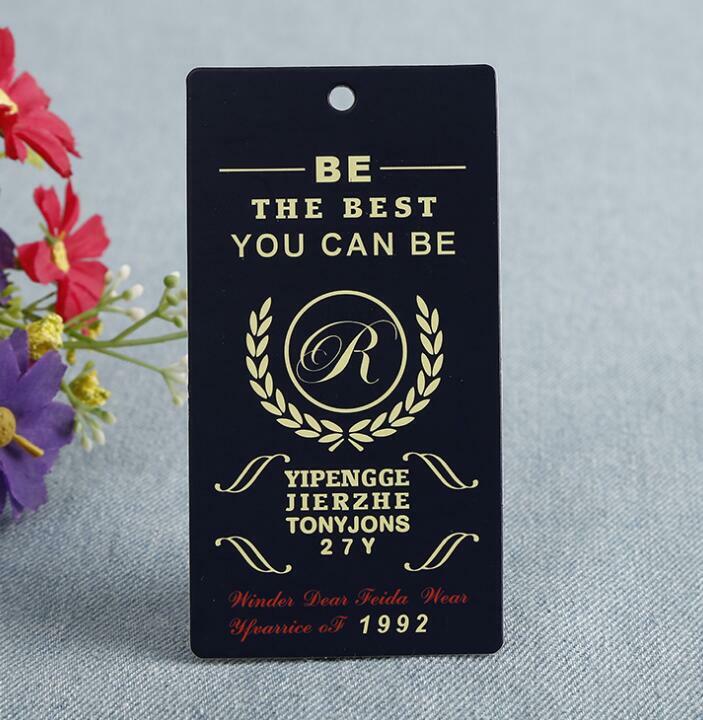 Hang tags are widely used in clothes, bags, shirts, all kinds of gifts etc with the information such as size, color, fabric, and price etc.